Selfish or Selfless: How about both? Who depends on you to be healthy, fit, and strong? Who might depend on your physical abilities thirty years from now? Tomorrow? Today? Who depends on your mental and emotional health? Who depends on your example? Now is the time where everybody reevaluates their life over the previous year and vows to make changes. Then they make a few compromises. Then they start justifying. Then they are back to where they started, ready to repeat the process the following January. No twenty year old plans on becoming a middle-aged, overweight work-a-holic who’s life is full of compromise and justification when it comes to their health. 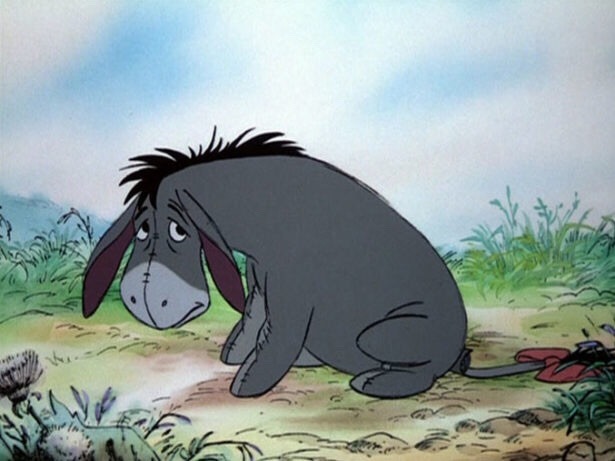 Nobody looks forward to becoming the human version of Eeyore, always singing the same woe-is-me tune as they lose to an alarm clock every morning and succumb to some snacks and a glass of wine every night with a couple extra pounds every year to top it off. But little by little, year after year that’s what happens. Who depends on you? You do. The person you were 20 years ago depends on you. The person you will be tomorrow depends on you. The person people will tell stories about when you die depends on you. Your wife, your husband, your kids, your pets, your friends, your family, your community, your nation, the world! They all depend on you. They depend on you being your best self. They depend on you making a positive impact, even if just a small one. They don’t need another person to show them how to put health on the back burner. They don’t need another person to justify missing training and eating terrible because they’re “busy”. They don’t need another person to show them how to set half-hearted goals that they never reach. They need you at your best: Your healthiest, happiest, best. You owe it to all these people to make it happen. To actually make it happen. Not the same BS you did last year that got you nowhere, but to instill LIFE-long health and fitness. The kind of stuff that impacts the person you’ll be tomorrow and the person you’ll be in 30 years. You owe it to him or her. Do it for yourself and do it for everyone else. Be selfish. Be selfless. Make it happen. Want to know how to get started? Schedule a No Sweat Intro.